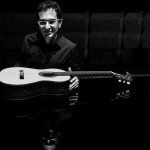 I am a Doctor of Musical Arts student at the University of Toronto and have previously completed a Master’s degree in classical guitar performance at California State University, Fullerton, as well as a Bachelor of Music at Conservatory of Amsterdam in the Netherlands. My performance experience includes appearances in solo and chamber music concerts in Canada, USA, the Netherlands, and Iran. I have also participated in guitar festivals in Germany, USA, and Canada and performed in over twenty master classes of world-renowned guitarists. I currently work as a Teacher Assistant at the U of T, coaching guitar chamber ensembles of undergraduate students and preparing them for the end-of-semester concerts. Over the years, I have also worked as a private instructor in different countries with students of different levels and various age groups (6 years and up). I am a patient and approachable teacher and always try to modify the lessons in order to meet every single student’s interests and goals. I do offer a free introductory lesson in order for us to get to know each other, and figure out your interests and goals to see how I could help you achieve them. I could also assist you in choosing a proper instrument if you don’t know where to start. If you have any questions do not hesitate to contact me, I will be happy to help!